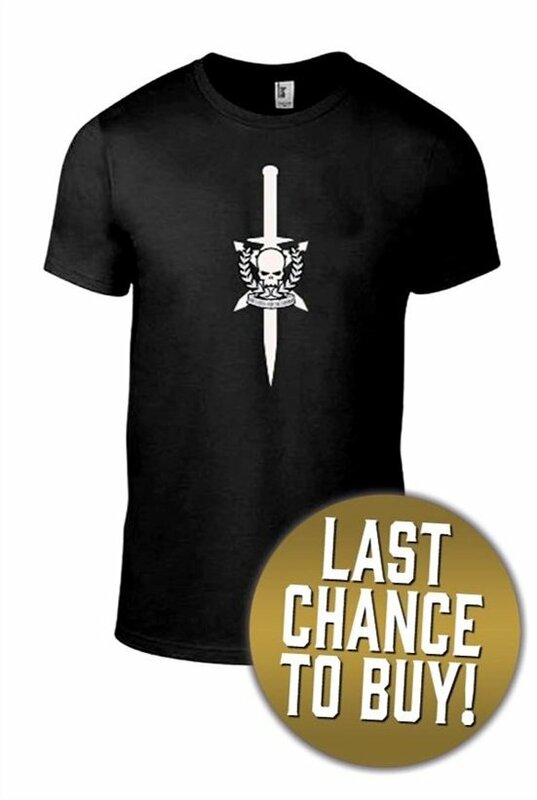 A loose-fit cotton black t-shirt in a variety of sizes, from S to XXL, bearing a stylised version of the classic symbol of the Tanith First-and-Only, better known as Gaunt’s Ghosts. The Gaunt’s Ghosts series is one of Black Library’s most popular, and with this t-shirt you’ll prove that you are a true son of Tanith. For Tanith. For the Emperor. The Tanith First and Only – better known as Gaunt’s Ghosts – are amongst the most celebrated of all the Astra Militarum regiments taking part in the Sabbat Worlds Crusade. They’re also the stars of a long running series of books, of course. Now you can show your love for the books and display a stylised version of their regimental icon on your chest with this stylish t-shirt. This 100% cotton t-shirt is a crew neck cut with a cotton/Lycra® rib. It is loose fit, and can be washed at 60°C. 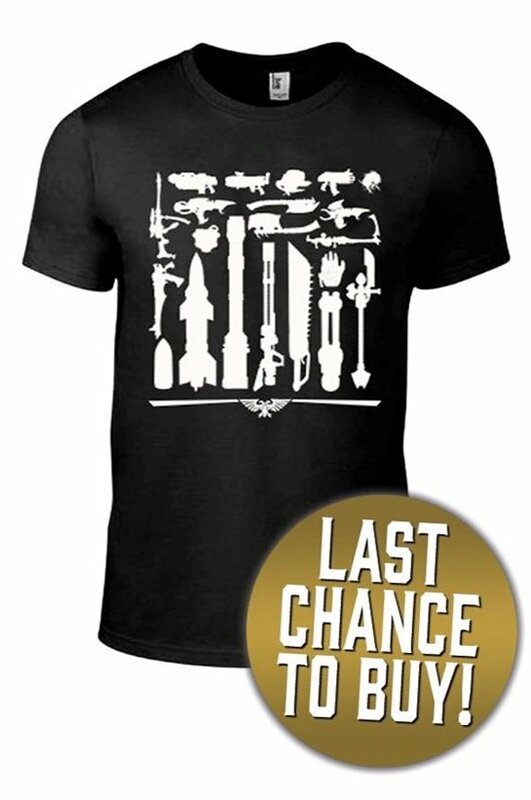 A loose-fit cotton black t-shirt in a variety of sizes, from S to XXL, bearing a line-up of Tau Empire battlesuits, presented in silhouette. Know your Battlesuits! Whether you’re a devoted follower of the Greater Good, or consider the tau to be a blight upon mankind’s galaxy, it’s a good idea to be familiar with the silhouettes of the Tau Empire’s mobile weapons platforms. 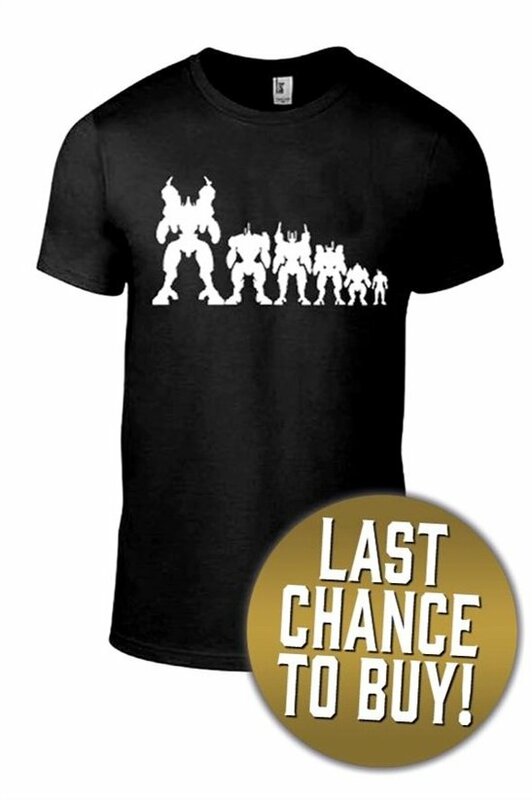 This t-shirt will help you to identify Stealth, Crisis, Enforcer, Broadside and Riptide battlesuits, with a Fire Warrior for size reference. 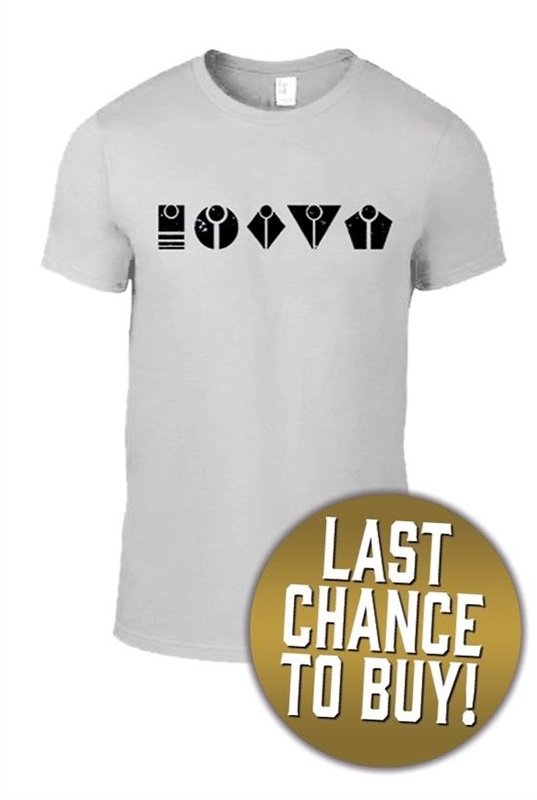 A loose-fit cotton white t-shirt in a variety of sizes, from S to XXL, with the symbols of all five Tau Empire castes on the front. It will mark you out as a devotee of the Greater Good, a hero of the Tau Empire celebrating all five castes and the unity that will change the galaxy. Five castes, one people, one empire. The Tau Empire’s philosophy – the Greater Good – emphasises the joining together of all five castes, each using their abilities and skills for the betterment of all. Join the Greater Good with this t-shirt emblazoned with the icons of all five castes – Fire, Water, Air, Earth and Ethereal. 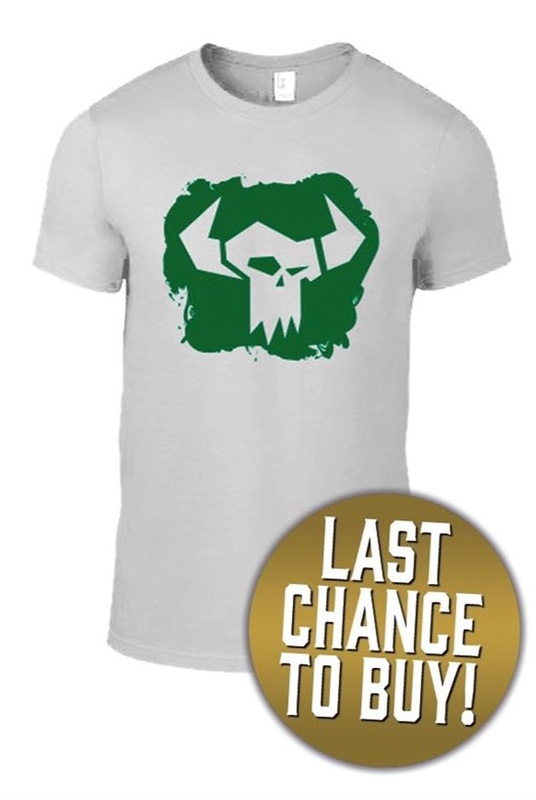 A loose-fit cotton white t-shirt in a variety of sizes, from S to XXL, emblazoned with the horned skull of the Beast, the symbol of the Black Library event series The Beast Arises. The Beast Arises is the most exciting thing to happen in the Warhammer 40,000 universe since the Horus Heresy, and you can share the excitement with this t-shirt. A loose-fit cotton black t-shirt in a variety of sizes, from S to XXL, covered in more than twenty weapons from the Dark Millennium. It’ll mark you out as a master of ordnance, a true connoisseur of the many and various weapons of the Warhammer 40,000 universe. There are no shortage of distinctive weapons in the 41st millennium, from the noble bolter, the signature weapon of the Emperor’s heroic Space Marines, to twisted xenos contraptions like the shuriken catapult, or foul and tainted weapons of the followers of Chaos – such as the mighty Great Cleaver of Khorne. Whatever your army, whatever your preferred weapons, you’re sure to love this celebration of some of Warhammer 40,000’s most iconic artefacts of war. I like the designs of these shirts, although I’m not the biggest fan of wearing black. Summer time in Texas where the BoLS HQ is located gets hot and black is not the best option to wear…If you like these shirts you might want to double check the pricing and sizes as some of them are sold out in particular sizes.